Our Madrid walking tour is an amazing way to get to know Madrid through a local’s perspective. 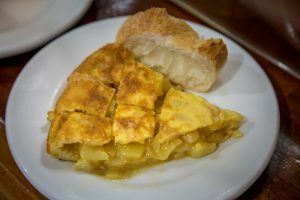 Our Madrid tapas tour takes you where real locals go for some of the best Spanish tapas in Madrid. 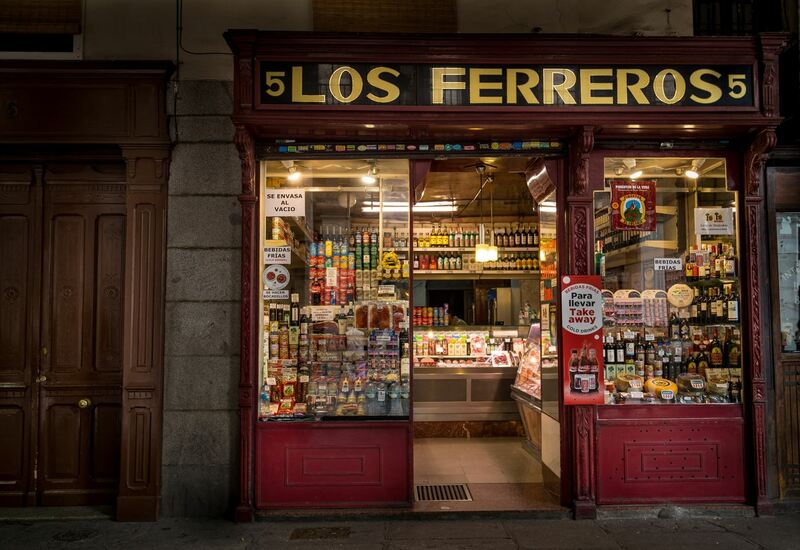 We thoughtfully combine our Madrid walking tour with some of the most interesting and exciting historical anecdotes of Madrid’s past and present rich history, in a pub-crawl stopping fashion where you will enjoy some of the best Spanish tapas Madrid has to offer. 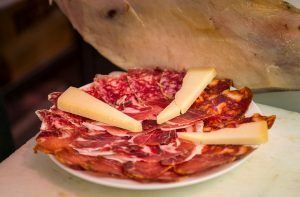 Our professional Madrid tapas tour guides will fill you in on what to do for the remainder of your stay in Madrid. Our Madrid walking tour takes place in the beautiful historical quarter of Madrid called “el Madrid de los Austrias”, the Madrid of the Hapsburg dynasty. The Madrid tapas tour lasts around four hours, it seems like a long time, but as we often say, “time flies when you are having fun!”. Approximate distance walked is around 3,3 kms. Our Madrid tapas tour stops at three of the most popular real local’s taverns, where we will enjoy delicious cod croquet and a Valdepeñas red-wine (Hemingway’s favorite wine during his stay overs in Madrid), the second place we switch to Spanish Jamón Serrano and Manchego cheese, this establishment is infamous for its cold-cuts and cheeses, and it also well know for the tap-beer, so perfectly and professionally served. The last place is a sit-down style typical Madrid tapas restaurant. Carlos, the owner greets us in that friendly Castilian fashion that we are known for in Madrid. Here we literally pig out on some of the best Spanish tapas in Madrid like starting with a delicious bowl of gazpacho, chorizo in wine sauce, zesty garlic shrimp platter, Spanish potato and egg tortilla and finishing off with a typical Madrid paella with chicken, pork, shrimp, muscles, squid, just to name a few ingredients. Join us for one of our many Madrid tapas tours for a real local Madrid tapas experience.